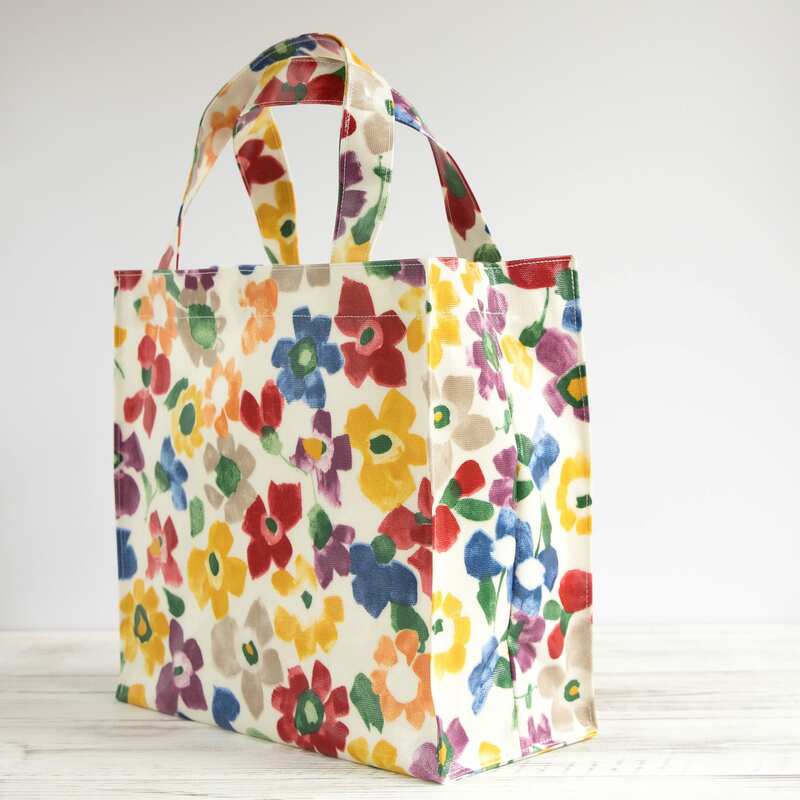 The Handmade Festival with Kirstie Allsopp 13th – 15th September! Tickets are on sale Now. A tote bag never goes out of style. They come in a wide range of bright colours and prints to carry your everyday essentials to the office and little shopping trips. 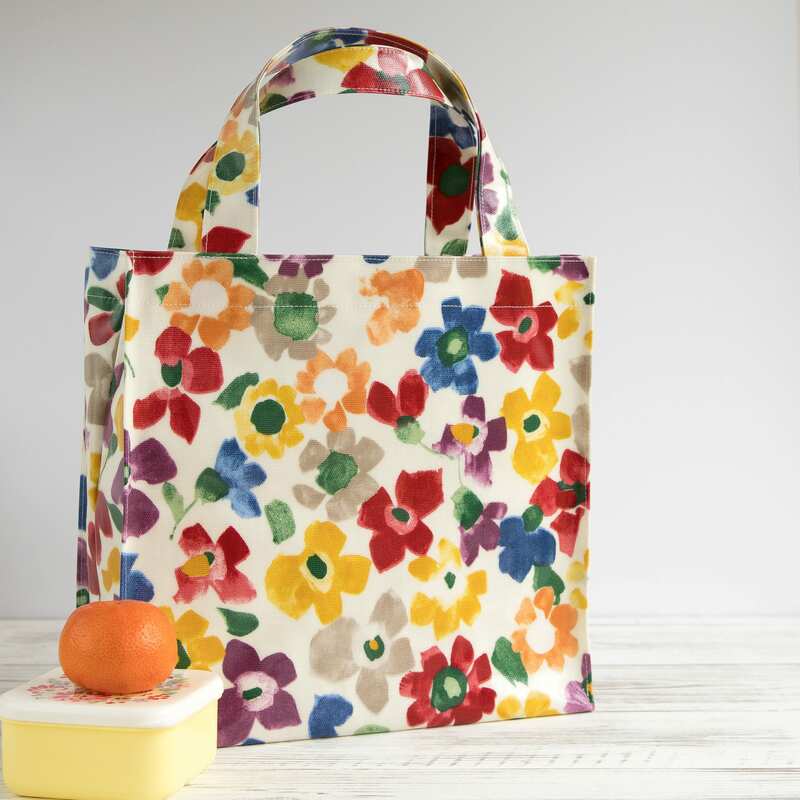 Each bag has many uses not only can they be used for carrying your lunch to work but would also make great little storage and project bags for you knitting projects. It's a fantastic unique birthday or Christmas gift for your mum, best friend or sister. The colourful cheerful design is sure to brighten your every day. 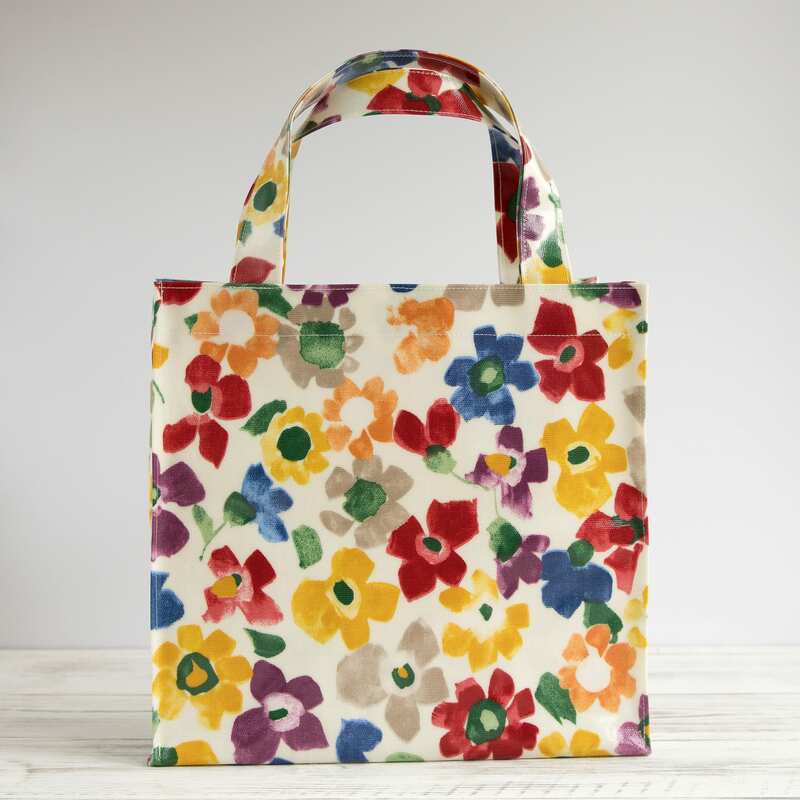 The oilcloth tote bag is made from quality cotton oilcloth fabric featuring a lovely colourful floral design. In the bottom of each bag is a piece of plastic to help the bag keep its shape. When you have provided your affirmative consent, which you may revoke at any time, such as by signing up for my mailing list. If necessary to comply with a legal obligation or court order or in connection with a legal claim, such as retaining information about your purchases if required by tax law. 2. Service providers. I engage certain trusted third parties to perform functions and provide services to my shop, such as delivery companies. I will share your personal information with these third parties, but only to the extent necessary to perform these services. 3. Business transfers. If I sell or merge my business, I may disclose your information as part of that transaction, only to the extent permitted by law. For purposes of EU data protection law, I, Laura Hatton, am the data controller of your personal information. If you have any questions or concerns, you may contact me at laura@charleyloudesigns.co.uk . UK orders - Are shipped via Royal Mail 1st Class. If you would like to have your order sent Signed For 1st Class you can upgrade your shipping option at the checkout. International orders - Are shipped via Royal Mail International Standard. Tracking is not offered as standard for all International orders, but if you would like to include this you can update your shipping option to Tracked & Signed at the checkout. I use Royal Mail International Standard for all International orders, this can take around 7-25 business days however please bare in mind some packages do get caught up in customs so may take longer but this is not often. Tracking is not offered as standard, but if you would like to include Tracking you can update your shipping option to tracked at the checkout. All items are wrapped in tissue paper and then packed for posting. • Pattern placement may vary from each item originally photographed. • I use my own template to make sure the size of my work stays consistent but please be aware that as each item is handmade sometimes the measurements may change slightly. • Accessories shown in photos not included. Durable and quality work. Delivered as promised. Thank you! I purchased 3 tote bags for friends, all thrilled. I first saw Charleyloudesigns at Kirsty’s handmade Fayre where I purchase a wash bag. Again a great handmade gift.